This is one of the latest signs of educational efforts moving toward transforming traditional medical education and builds on Kaiser's vision of technology-enabled coordinated care, Kaiser said. "Opening a medical school and influencing physician education is based on our belief that the new models of care mean we must reimagine how physicians are trained," Bernard J. Tyson, chairman and CEO, Kaiser Foundation Health Plan, Inc. and Kaiser Foundation Hospitals, said in a statement. "Training a new generation of physicians to deliver on the promise of health and healthcare demonstrates our belief that our model of care is best for the current and future diverse populations in this country," he added. Kaiser sees the shift in population as an increased need for physicians to be more culturally aware. The coursework will focus on technology, decision making, evidence-based medicine and teamwork. Mobile health education will also be prominent. "Medical education needs to change to keep pace with the changing health care delivery system and changing patient needs," said George Thibault, MD, president of the Josiah Macy Jr. Foundation, in a statement. 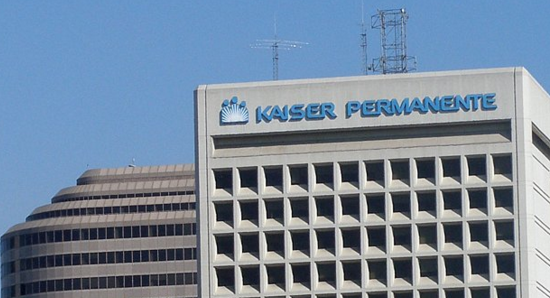 "Kaiser Permanente is in a position to make important contributions to these changes by bringing its vast experience with teamwork, coordinated care and technology to medical education," he added. "The proposed new medical school will join other new schools and reform-minded existing schools in this effort to better align medical education with contemporary societal needs." Christine K. Cassel, MD, president and CEO of National Quality Forum, will resign March 1, 2016, in order to take a leadership role in designing the new Kaiser Permanente School of Medicine. Cassell joined NQF in 2013 and has helped advance quality improvement leadership, strengthen membership, diversify funding and increase measurement endorsement, selection and science. "I'm very proud of all that the NQF community has accomplished, and the progress that we have achieved is testament to NQF's strong foundation, committed membership and talented staff," said Cassel.